Network analysis was used to show changes in network attributes by analyzing the relations among the main soil microbial groups in a potted tomato soil inoculated with arbuscular mycorrhizal fungus, treated with low doses of Mentha spicata essential oil, or both, and then exposed to tenfold higher oil addition (stress pulse). Pretreatments were chosen since they can induce changes in the composition of the microbial community. Cellular phospholipid fatty acids (PLFAs) and the activity of six soil enzymes, mainly involved in the N-cycle were measured. Networks were constructed based on correlated changes in PLFA abundances. The values of all parameters were significantly different from those of random networks indicating modular architecture. Networks ranked from the lowest to highest modularity: control, non-pretreated and stressed, inoculated and stressed, oil treated and stressed, inoculated and treated with oil and stressed. The high values of network density and 1st/2nd eigenvalue ratio are related to arylamidase activity while N-acetyl-glucosaminidase, acid phosphomoesterase, and asparaginase activities related to high values of the clustering coefficient index. 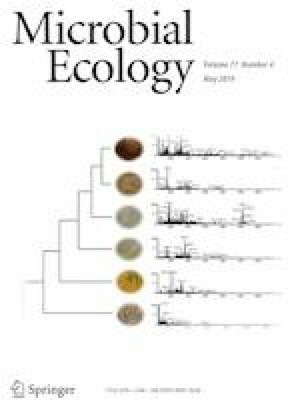 We concluded that modularity may be an efficient indicator of changes in the network of interactions among the members of the soil microbial community and the modular structure of the network may be related to the activity of specific enzymes. Communities that were stressed without a pretreatment were relatively resistant but prone to sudden transition towards instability, while oil or inoculation pretreatments gave networks which could be considered adaptable and susceptible to gradual change. This study was funded by the Research Committee of the Aristotle University of Thessaloniki (Project No. 89434).